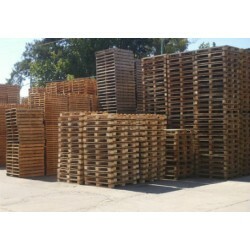 Auction off or sell your pallets, is the best way to recover your pallet. 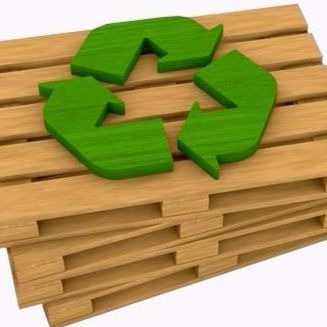 Deliver their pallets with his truck directly in any recycler, and receive the payment without need of be present in it delivery (within the map may find recyclers and their contacts) so these can bid by their pallets and make the payment both in the delivery as in the withdrawal. 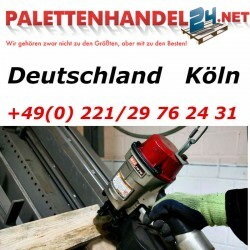 Thanks to the sale of your pallets with collection directly in the store your client, you can recover up to 90% of the price of your pallet. All users with access to information are registered, verified the data offered and evaluated by other users. 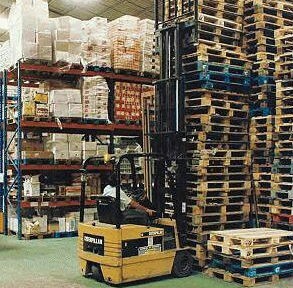 Withdrawal of the payment up to 15 days, as protection for the buyers and guarantee the veracity of the notice of withdrawal of pallets. 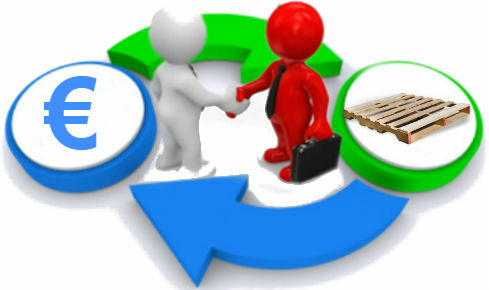 Web for the exchange of Euro pallets between companies by sale. 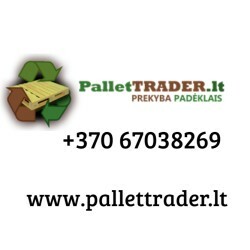 The biggest problem of the exchange of pallets in the majority of cases is the distance. 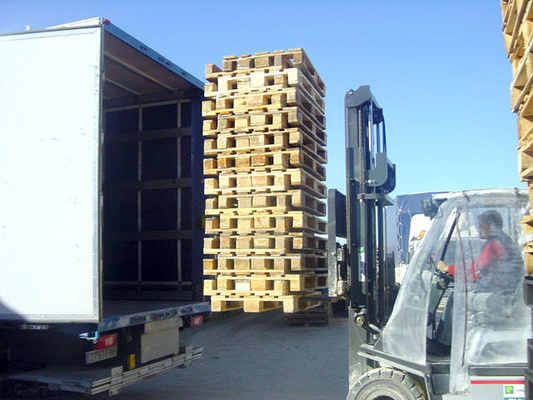 We turned frequently to rental companies, which for to meet the needs of its customers, they will need to create a big infrastructure to reach all places where their customers dispatch their products and in spite of it still fail to recover much of its pallets for various reasons, such as location, the wait times to move to pick up, etc ... All these losses of pallets, affect us as users of these rentals with contracts for consumption, customers that they not want to receive those rental pallets and the worst, you have to repay exorbitant prices for all the lost pallets. 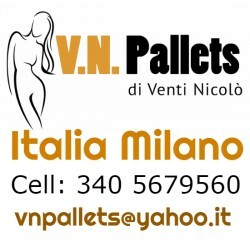 In other cases, we try to return our pallets in our transport, but of course, it involves us always use the same carrier with the complication also that they carry installed in their pallet trailers and willing to carry them thousands of kilometers with custodial responsibility involved and the extra fuel consumption, all for including damaged pallets due to degradation resulting from dust, rain and chemical agents deposited on the road for the passage of other vehicles. And others, so we only have the option of leaving our europalets due to the remoteness, but of course, have to pass on the price to our customer and sometimes that involves our goods are out of money and lose the customer. 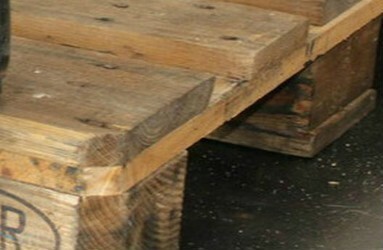 Our proposal is based on the exchange of pallets by geo purchase of pallets. 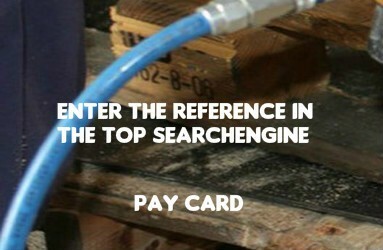 Hang your pallets for sale in our shop, by indicating the geographic coordinates of where they are for the paleteros area pass pick your downloadable authorization upon purchase, or your own carrier may buy them for next carriage or may deliver them to the shopping center closest to step this being the carrier decision itself. 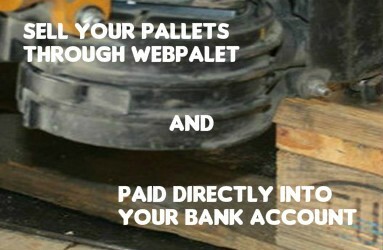 Anyone can access your purchase to make payment directly to your account, only need to enter your product number in the search or pick at the premises where advertisers have posted for sale their pallets, pallets can collect up to more advertisers in the same place. If the price does not suit the buyer, this may make a counter offer to the seller to facilitate the sale. The advertiser will receive payment for all sales on one bill be avoiding pending sales.